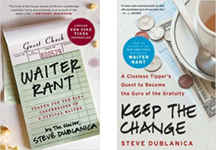 Anthony Bourdain’s book Kitchen Confidential inspired me to write my blog Waiter Rant. When that blog became a book in 2008, Anthony provided a very gracious front cover blurb which undoubtedly boosted the book’s success. I owed him a great deal. My wife woke me to tell me of Anthony’s untimely passing at the age of 61. I was quite saddened by the news. Anthony was a keen wit, an excellent writer and, under his hangdog bad boy exterior, possessed a poet’s heart. I will miss him. My condolences to his family, friends, and professional colleagues. Haven’t been on your site for a number of years but after hearing of Anthony Bourdain’s death I thought I would drop in to see what you might say. You introduced me to him and I enjoyed watching his adventures hard to believe that he had that turmoil going through him I will truly miss watching him and enjoying his writings. I literally just finished rereading Kitchen Confidential for the who-knows-how-manyith time two days before his death. 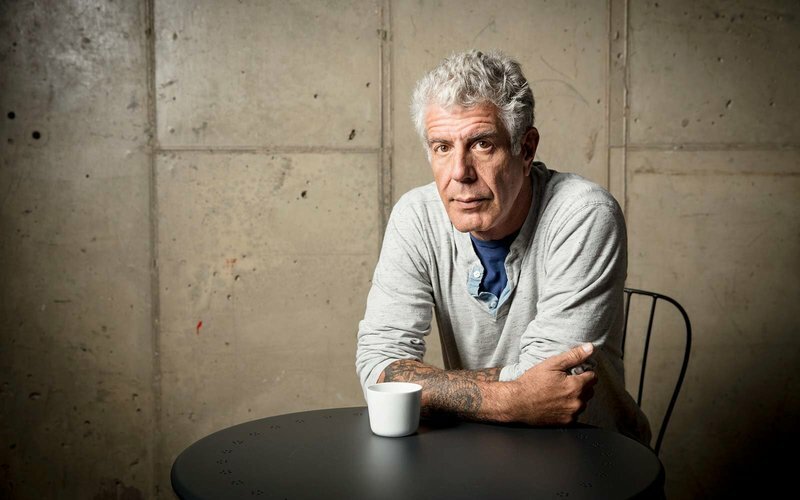 He’s a great talent that will be missed, and had amazing insights into food and life. Man, I forgot about his cover blurb for you. He has touched everyone I know in both food and travel scenes over the years, and really inspired lots of friends. Everyone is vulnerable. Everyone could be on the edge whether we realize it or not. I’m glad I have a good support system, and I hope you do, too, Steve. My cell phone blew up before my actual wake time by friends telling me about Chef Bourdain’s death. This has knocked me side ways. I’m still bewildered by it. When I was doing my food truck blog, I thought of him when I wrote because when I read his non fiction work, it was done in a natural voice. Much like how you write. Your natural voice. I’m still shaking my head and am confused. I know. I actually remembered you when I heard the news of his death. I was diligently reading you during your first few years. I am new to the site and I had no idea that Anthony passed. And to read you hung himself. Tragic.